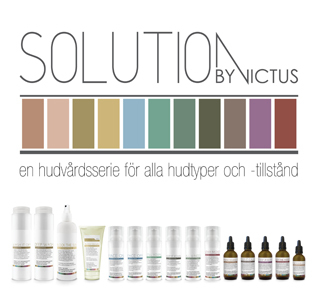 Solution by Victus is a skin care series created by skin therapists – for skin therapists. The focus is on simple and rewarding skin care routines. When we developed Solution by Victus, we listened to experts, skin therapists and end customers, and we all think the same: simplicity and results! Solution by Victus main task is to protect the skin’s natural barrier without drying out the skin. The skin care product takes care of the outermost layer and ensures the correct pH value for the skin, which is a prerequisite for a healthy skin. SSolution by Victus is a skin care series that are only available for sale at our selected salons and clinics. In this way, we believe that, the skin care therapists can guide customers with the help of their deep knowledge to the right products. This is a short series of serums, which suits all different skin conditions. This means that stocking of producs are easier, the initial cost is smaller for salons / clinics and the choice for the end customer is easier. 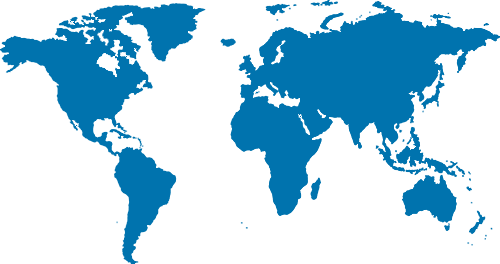 All our products are recyclable and by using airless bottles ,you can use all of the content. The products also have no unnecessary packaging that the end customer often discard in the garbage anyway. Face The Sun SPF 30 with IR filter is a sunscreen with UV protection, which also protects against the infrared light that new research shows is harmful to the skin. 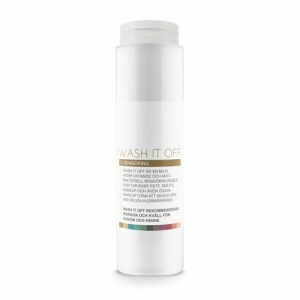 Wash It Off is a main product for daily skin care, it is a gentle and moisturizing cleansing with antibacterial properties that will remove grease, dirt, makeup and even eye makeup without damaging the natural skin barrier. Deep wash is a deep cleansing gel that moisturizes and soothes the skin without damaging the natural skin barrier. Deep wash is also anti-bacterial and exfoliating. 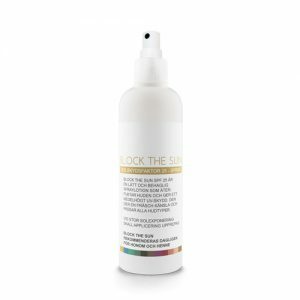 Face The Sun SPF 25 is a light and pleasant spray lotion with medium UV protection that moisturizes the skin. It gives a fresh feeling and is suitable for all skin types that do not burn easily in the sun. Face off is a moisturizing, deep cleansing and firming mask for all skin types. Apply over the face and when it's stiff pull the mask off to remove dead skin cells and impurities. Face On is a moisturizing mask for the dry and moisture-poor skin. It Helps the skin to restore its barrier. A thin layer is applied to the skin in the evening, the mask does not need to be washed off but is absorbed by your skin. Still Young is a 24-hour cream that counteracts the early age signs and moisturizes and protects your skin as well. This cream contains antioxidants that neutralize free radicals which leads to counteract the collagen degradation, as well as suppress redness. Still Young gives a smooth skin tone and can also be used as a makeup base. All U Need is an optimal night cream with combination of vitamin A and glycolic acid that together reinforce the effect of exfoliation without drying out the skin. The cream also stimulates the production of collagen. Keep It Young is a 24-hour cream designed to restore moisture levels in the skin and restore the skin's natural elasticity. Keep It Young is a moisturizing cream containing antioxidants which protects your skin against free radicals. Stay Moist is a strong moisturizing and nourishing cream for dry to very dry skin, designed to restore a natural pH value and counteract irritations. The active ingredients reproduce and resemble the skin's barrier and are 100% herbal. 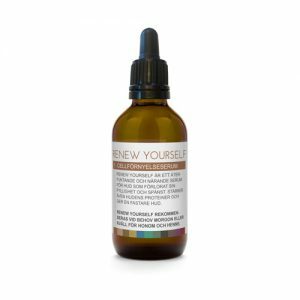 Renew Yourself is a serum for skin that lost it’s natural fullness and elasticity. The serum has a strengthening and nourishing effect on the skin and provides a fuller and more resilient result. Renew Yourself is also moisturizing. Keep It Calm is a serum for the sensitive and reactive skin. The serum is nourishing and has a calming effect on irritated skin. The serum also stimulates and protects the skin's natural renewal process and moisture balance, as well as counteracts the negative effects of free radicals in the skin. Stay Away is a deep-cleansing serum that balances the sebum production. The serum works antibacterially and preserves the skin's moisture level without damaging or drying out the natural skin barrier. Stay Away is used both to counteract existing acne and to prevent the emergence of new acne. 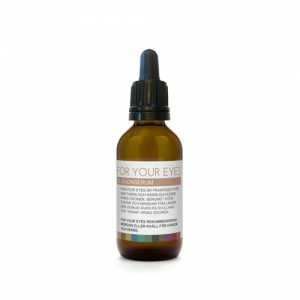 For Your Eyes is a caring serum made for the thin and sensitive skin around the eyes. The serum moisturises and minimizes fine lines. It has effects on swellings and "bags" around / under the eyes. Want to know more about Solution by Victus?